My story starts when I was about eight or nine years old. I had never read a great deal (as a pastime), and I think Jane Austen's books had a part in inspiring me to read more for pleasure. Once we got the second part, I was really eager to keep watching, and my expectations were not let down! I then had to read the book, of course, and I enjoyed it very much. After that I sought other books by Jane Austen. I found Emma at the library, and Mum bought a copy of Sense & Sensibility (which, obviously, I have read) and watching three versions of the former and two of the latter. 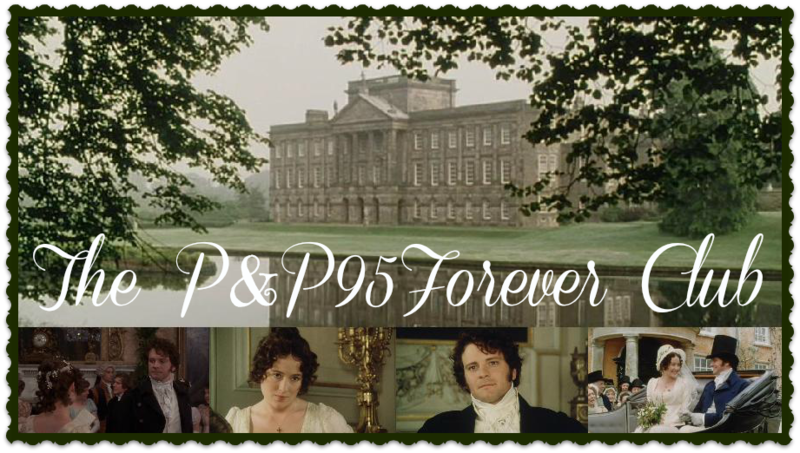 P&P95 is one of my favourite movies, and Jane Austen is now my favourite author. Mum acquired both the paperback and kindle versions of Northanger Abbey and a kindle version of Mansfield Park. I am reading both at the moment, and I am greatly enjoying both. I am certain P&P95 will remain a firm favourite for a long time to come! You can visit Miss Darcy at her blog, Jane Austen & Her Kind.